Editor’s note: It’s another old paperback from my library, a Signet Classic, 60¢, published in 1962. It’s a book no story writer, no poet, no serious reader and lover of literature should be without. Call it an essential. 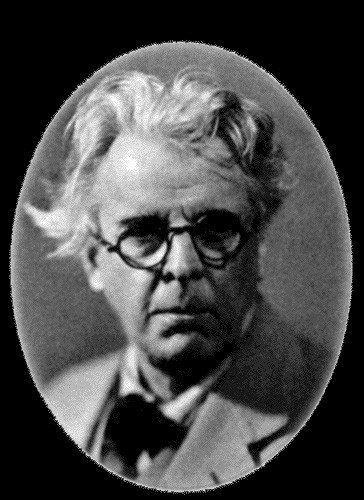 A recent piece I posted on this site about the traditional Irish storyteller, brought Yeats to my mind once again. I don’t know how many times I’ve read THE CELTIC TWILIGHT, how many times I’ve turned to it for reference and found myself immediately engrossed in the depth, beauty, artistry of his work…his dedication and concern with the preservation of Irish folklore. I can see him wandering the Irish countryside, gathering these tales. I love that part of writing—going to the significant source. Listening. Putting it all down, real, imagined, mystical, poetic prose…then spreading the word. I’ve always admired Yeats’ brief, opening piece to THE CELTIC TWILIGHT, “This Book”, where he describes the essence of a writer’s work: hope, memory, art. I have desired, like every artist, to create a little world out of the beautiful, pleasant, and significant things of this marred and clumsy world, and to show in a vision something of the face of Ireland to any of my own people who would look where I bid them. I have therefore written down accurately and candidly much that I have heard and seen, and, except by way of commentary, nothing that I have merely imagined. I have however, been at no pains to separate my own beliefs from those of the peasantry, but have rather let my men and women, dhouls and faeries, go their way unoffended or defended by any argument of mine. The things a man has heard and seen are threads of life, and if he pull them carefully from the confused distaff of memory, any who will can weave them into whatever garments of belief please them best. I too have woven my garment like another, but I shall try to keep warm in it, and shall be well content if it do not unbecome me. Hope and Memory have one daughter and her name is Art, and she has built her dwelling far from the desperate field where men hang out their garments upon forked boughs to be banners of battle. O beloved daughter of Hope and Memory, be with me for a little. MANY OF the tales in this book were told me by one Paddy Flynn, a little bright-eyed old man, who lived in a leaky and one-roomed cabin in the village of Ballisodaee, which is, he was wont to say, “the most gentle”—whereby he must mean faery—”place of the whole of County Sligo.” Others hold it, however, but second to Drumicliff and Dr-umahair. The first time I saw him he was cooking mushrooms for himself; the next time he was asleep under a hedge, smiling in his sleep. He was indeed always cheerful, though, I thought I could see in his eyes (swift as the eyes of a rabbit, when they peered out of their wrinkled holes) a melancholy which was well-nigh a portion of their joy; the visionary melancholy of purely instinctive natures of all animals. I have copied this account of Paddy Flynn, with a few verbal alterations, from a note-book which I almost filled with his tales and sayings, shortly after seeing him. I look now at the note-book regretfully, for the blank pages at the end will never be filled up. Paddy Flynn is dead; a friend of mine gave him a large bottle of whiskey, and though a sober man at most times, the sight of so much liquor filled him with a great enthusiasm, and he lived upon it for some days and then died. His body, worn out with old age and hard times, could not bear the drink as in his young days. He was a great teller of tales, and unlike our common romancers, knew how to empty heaven, hell, and purgatory, faeryland and earth, to people his stories. He did not live in a shrunken world, but knew of no less ample circumstance than did Homer himself. Perhaps the Gaelic people shall by his like bring back again the ancient simplicity and amplitude of imagination. What is literature but the expression of moods by the vehicle of symbol and incident? Are there not moods which need heaven, hell, purgatory, and faeryland for their expression, no less than this dilapidated earth? Nay, are there not moods which shall find no expression unless there be men who dare to mix heaven, hell, purgatory, and fairyland together, or even to set the heads of beasts to the bodies of men, or to thrust the souls of men into heart of rocks? Let us go forth, the tellers of tales, and seize whatever prey the heart long for, and have no fear. Everything exists, everything is true, and the earth is only a little dust under our feet. Thanks for the referral to another gem. I haven’t read it, and will. Also I have referred to Jack Martin, a Door County original, a probable descendent of Paddy Flynn. Absolutely! Everything exists and everything is real! I married into this reality, and my friend Gretchen asked to buy tickets to the annual Casey Christmas party. No other race of people could shrink huge and frightening ogres of yore into “the little people” now could they? Your posting made me take down my copy of Door Way: Charley, Uncle Tom, Gerhard Miller, Roy Lukes, John Henderson, Albert Zahn, Bill Beckstrom…Dar, Gust Klenke, Charles Peterson, Tim Weborg…Norbert Blei…Where I live now: Ward Just, George Pelecanos… I love to open my “mail, paper, a book”, waiting to see what you all will do today. observation and reading. But to know how to put the symbol and incident together as he did. Wow. Thanks for reminding us of this important book. And thanks also to W.B. Yeats himself. Mix “heaven, hell, purgatory, and fairyland together?” Sounds like a recipe for exactly the sort of cake I want to bake. 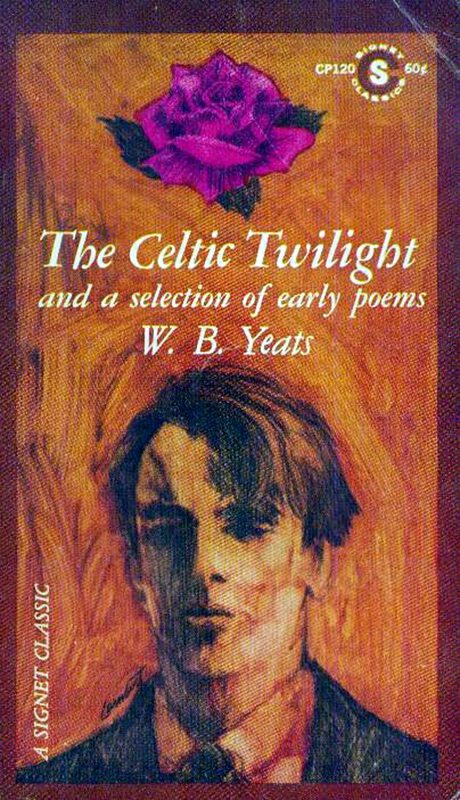 Tonight this got me reading all the books by and about Yeats I could find on my bookshelves. Some belonged to my father before me. In the 1956 edition of The Collected Poems of W.B. Yeats, my father placed bookmarks on the pages that marked his favorite poems and also put a little check mark next to the poem in pencil. Although my father died in early 2005, I have kept the 4 bookmarks in place. Tonight I see one of the 4 bookmarked poems with a check mark is “A Prayer For My Daughter”. Thank you for this gift.